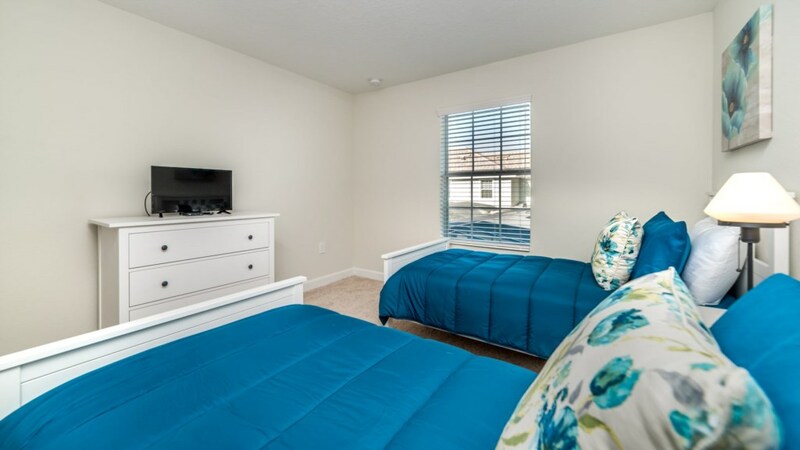 Welcome to the gated resort community of Storey Lake where relaxation begins. 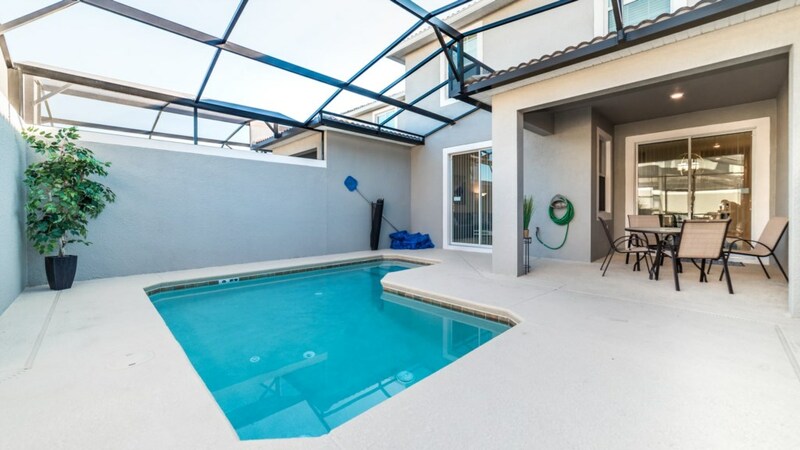 This 4 bedroom, 3 bathroom home is the perfect vacation getaway located right in the middle of Kissimmee. 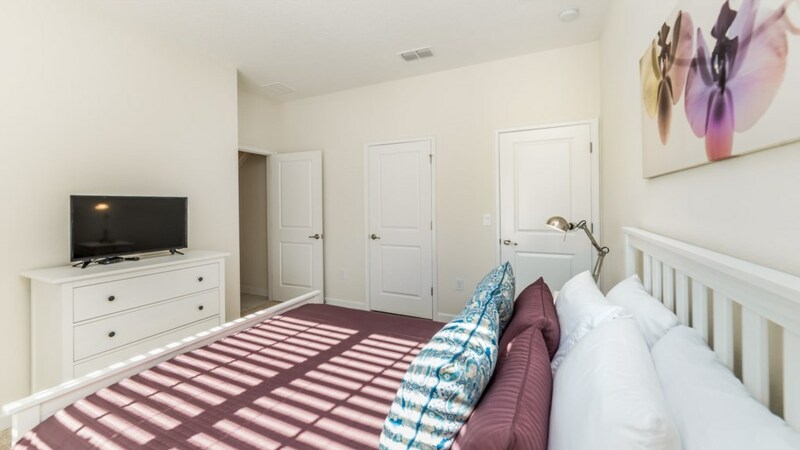 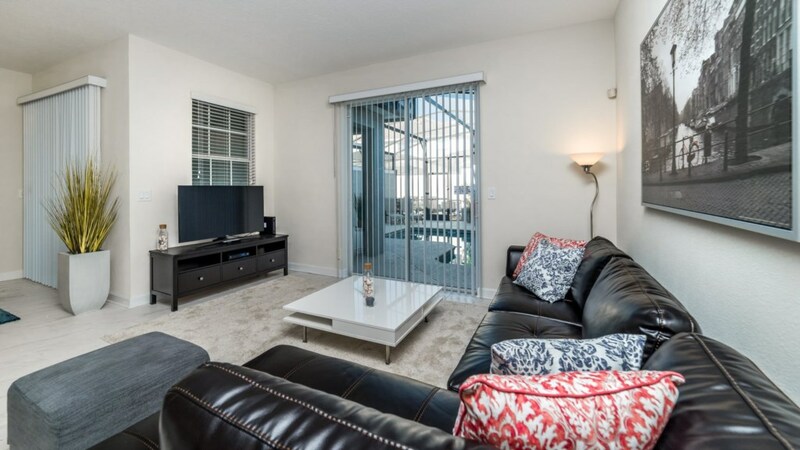 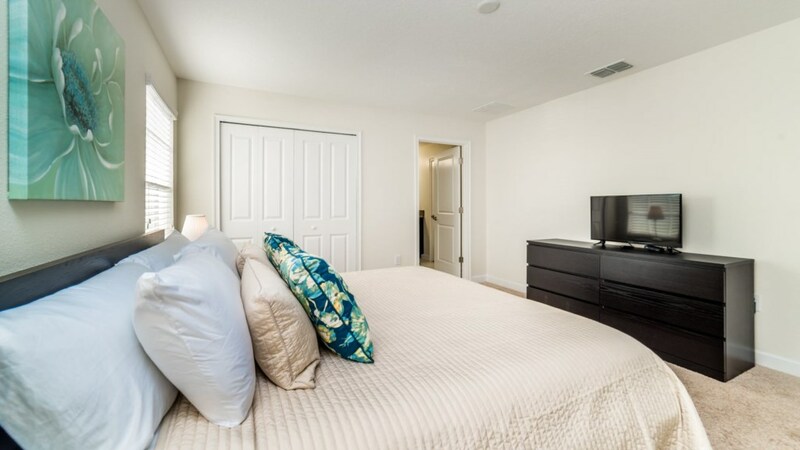 To begin, this gorgeous townhome boasts 4 large bedrooms, all perfect and ready for your vacation. 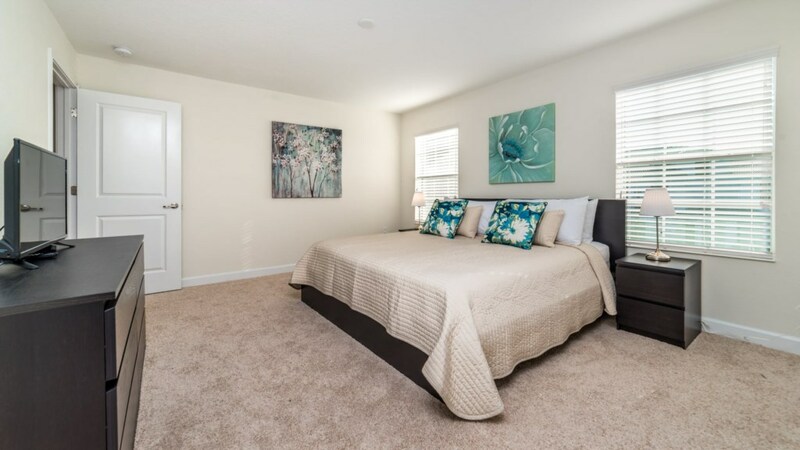 With 1 king bedroom, 1 queen bedroom and 2 bedrooms with 2 twins, this home sleeps 8 comfortably. 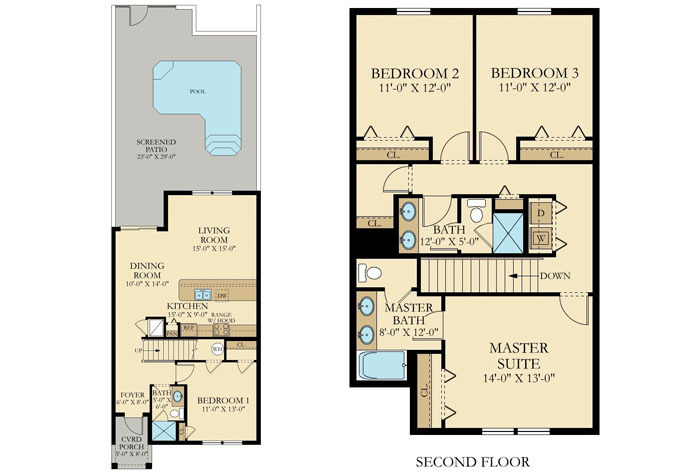 All of these bedrooms come equipped with a 32’ flat screen TV. 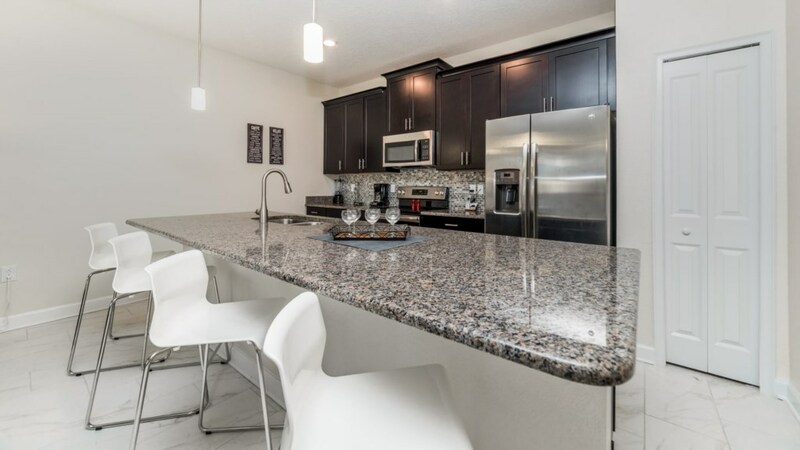 This townhouse kitchen is the perfect place to cook up some family style meals and enjoy them all together. 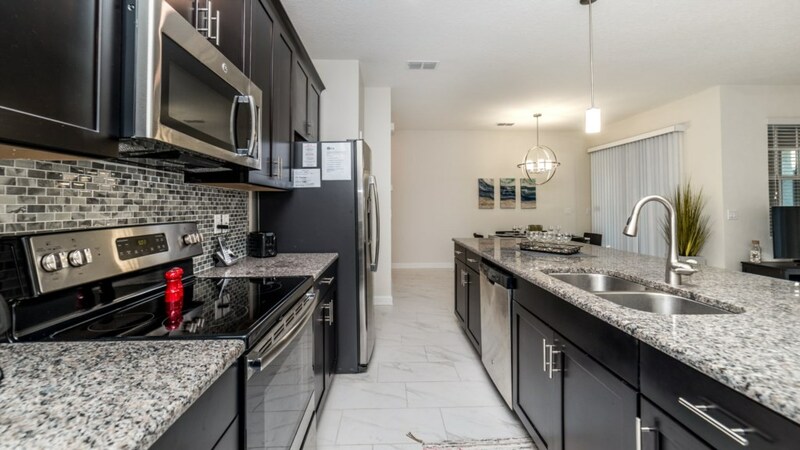 The upgraded appliances, gorgeous dark wood cabinetry and granite countertops bring a warm feel to the cozy home. 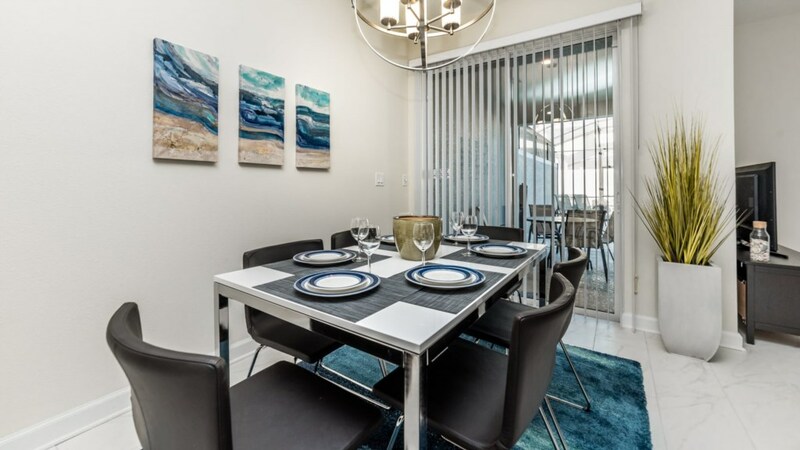 The breakfast bar and dining table are there for you to enjoy all of your meals together. 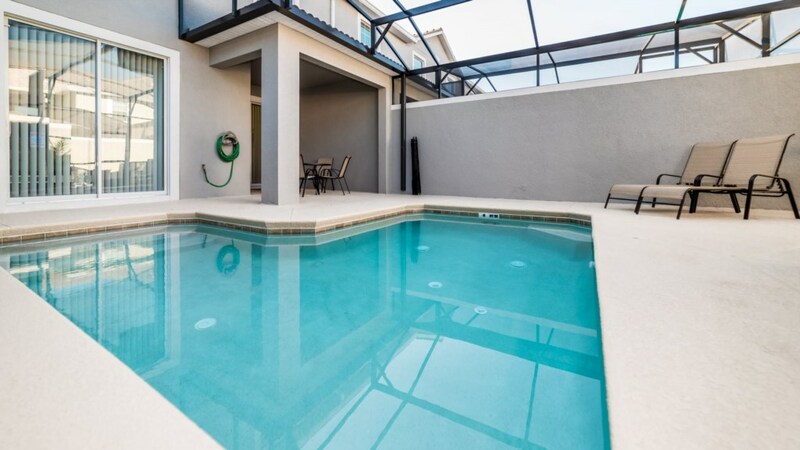 The dining room overlooks the gorgeous splashpool where you can relish in the Florida sun all day. 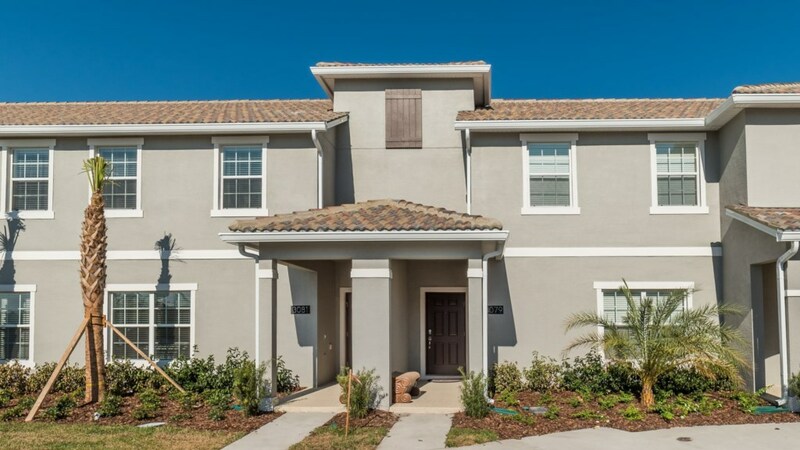 Dine al fresco on the outdoor table and call it a day in sunny Florida. 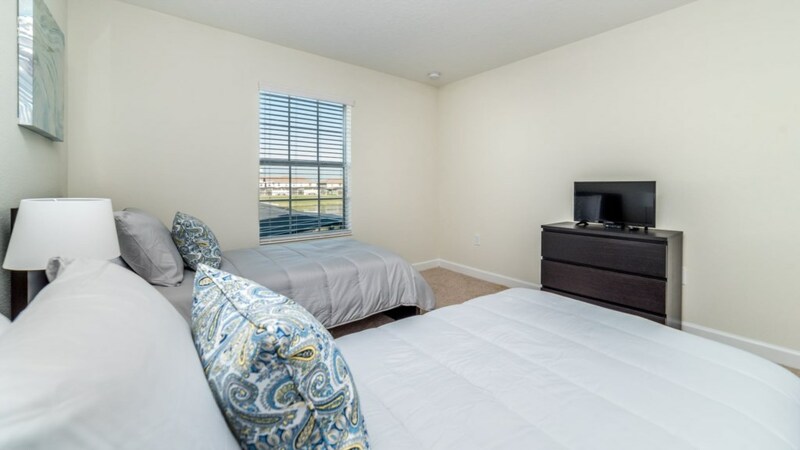 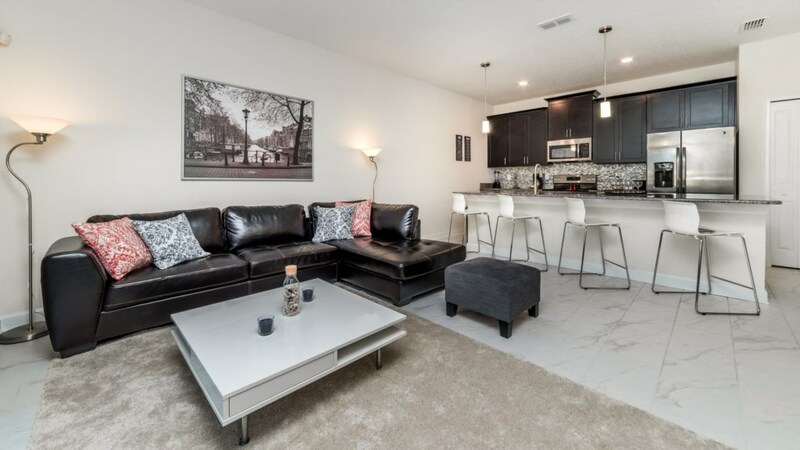 All of our homes come with free WiFi and a washer and dryer for your convenience. 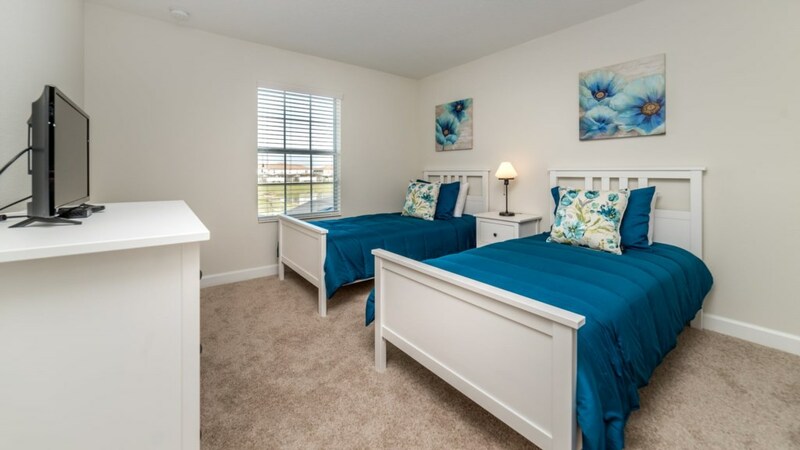 The resort community of Story Lake is also an advantage to this incredible home. 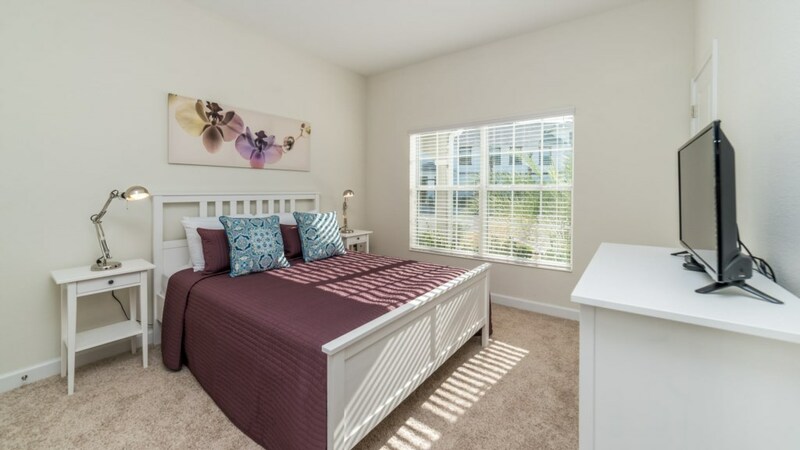 Miles from Disney property and just a few short steps from world class shopping, you are sure to have all you need. 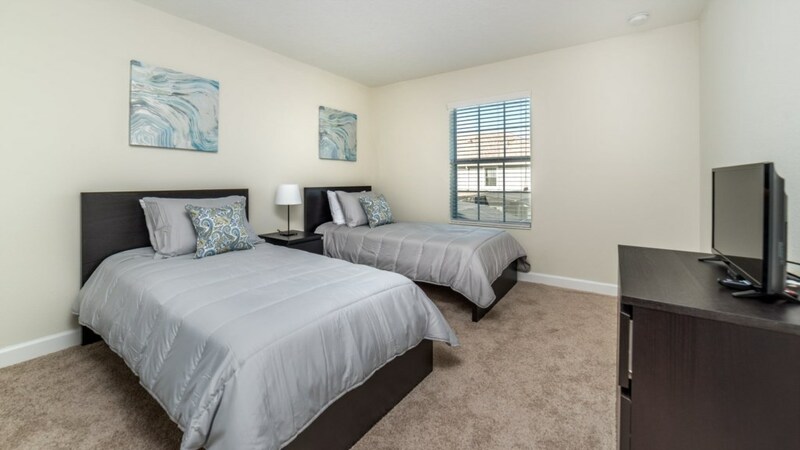 Book today and enjoy all of what Orlando has to offer.